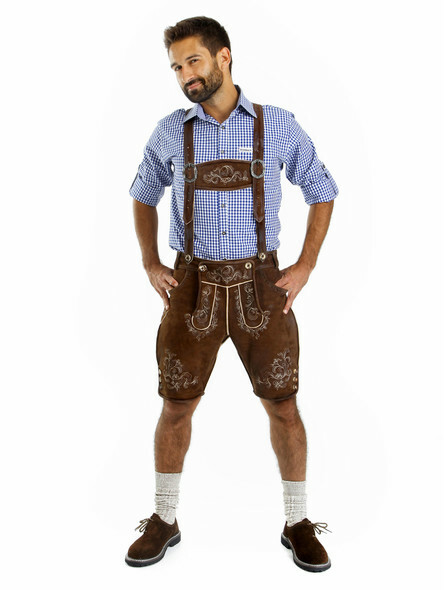 With a 5-piece lederhosen set for men, you don´t have to search for long to find your perfect Oktoberfest outfit. Simply choose from a variety of combination options. 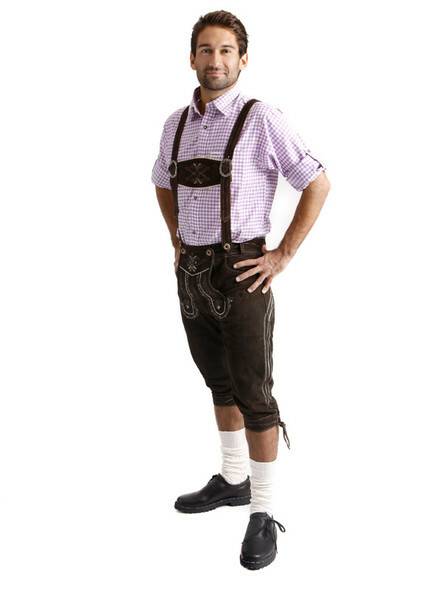 Each lederhosen set contains a complete, traditional Bavarian costume for men. 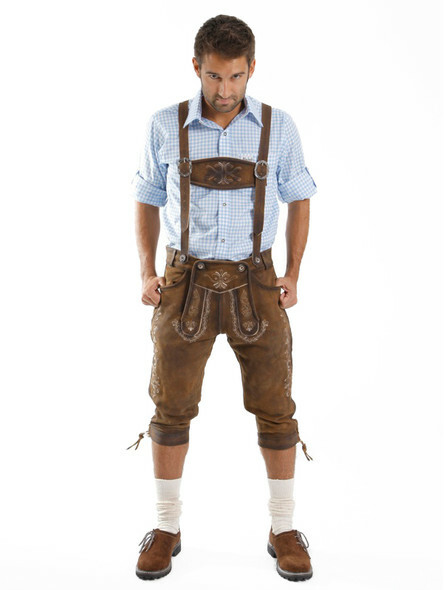 Beginning with original Bavarian lederhosen, which is of course the highlight of every traditional costume outfit. 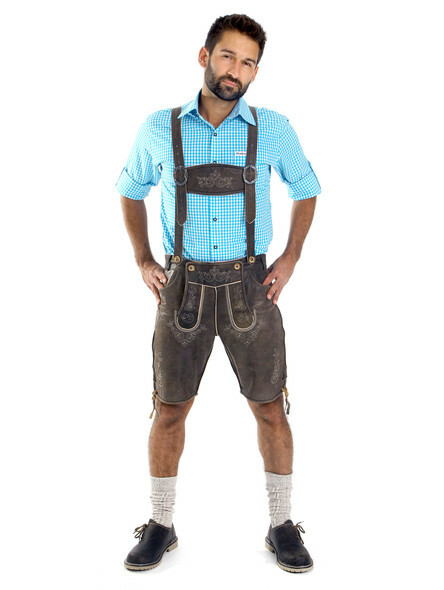 Matching and size-adjustable suspenders are included. 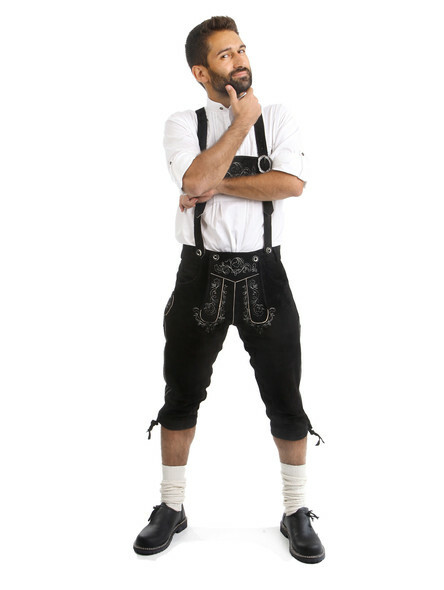 In addition, you can choose your favorite traditional shirt according to your personal preferences. 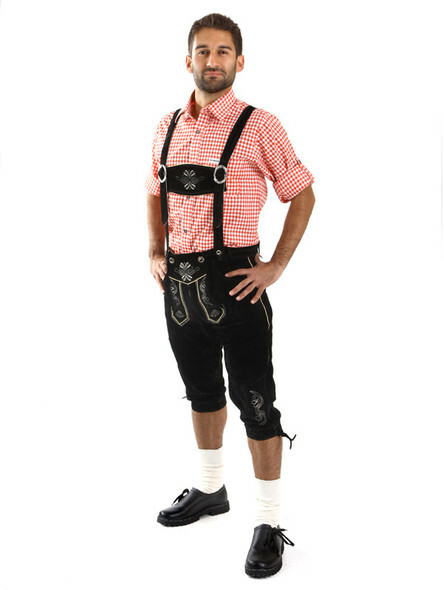 The set includes typical Bavarian shoes as well as traditional socks. 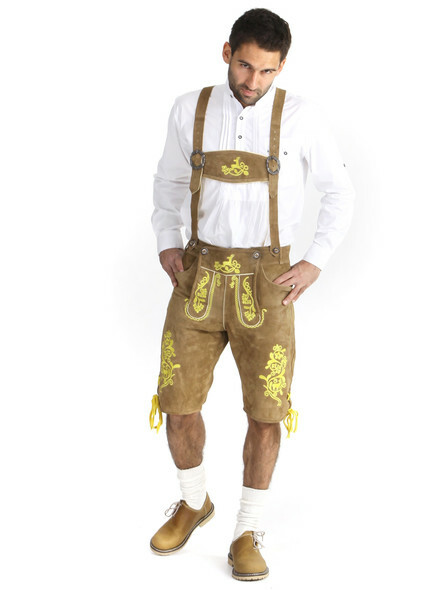 No matter whether you are looking for a traditional, cool or even chic, German outfit ? with a set you are always smart on the go and perfectly dressed. 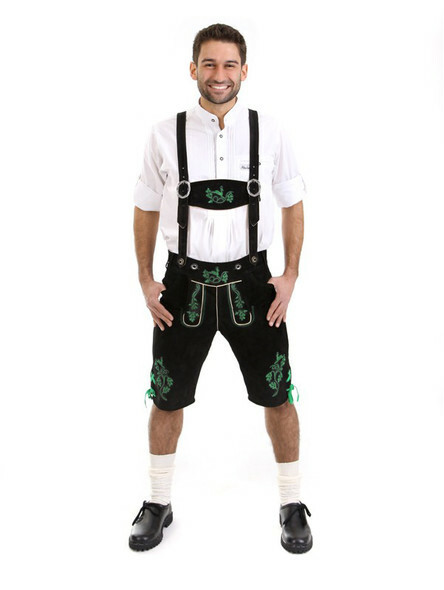 Our traditional lederhosen sets are not only extremely practical. They are also outrageously cheap. 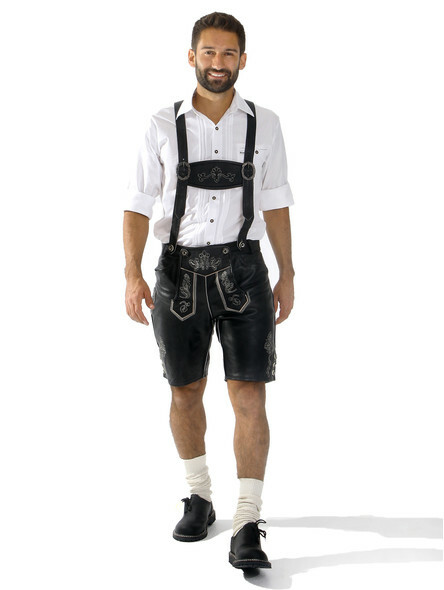 Choose a 5-piece lederhosen set and save money compared to the unit prices. You can compare the prices by yourself. 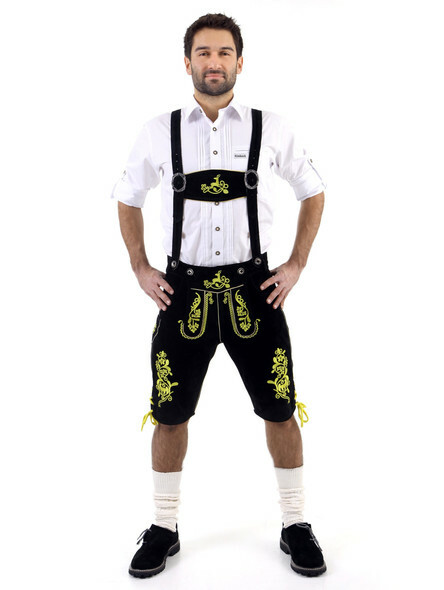 With one of our smart traditional, German clothing sets you can show your excellent sense for traditional costume fashion as well as for favourable offers. The price-performance ratio is certainly right here! 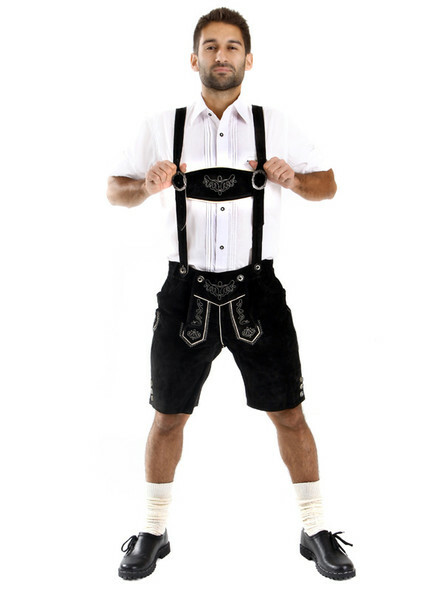 No matter whether on weddings, the Oktoberfest or other, more or less festive occasions ? 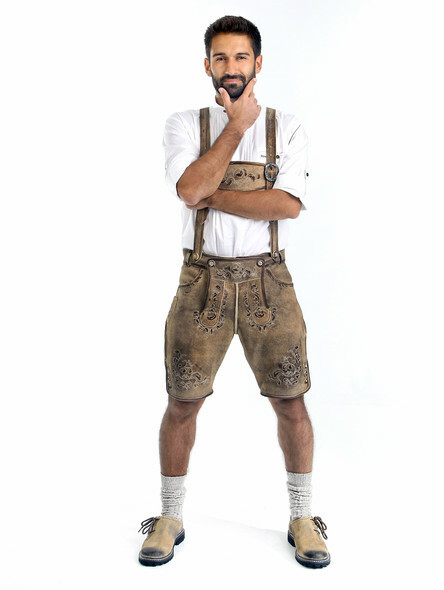 whenever you need a smart outfit, our charming costume sets fit perfectly. 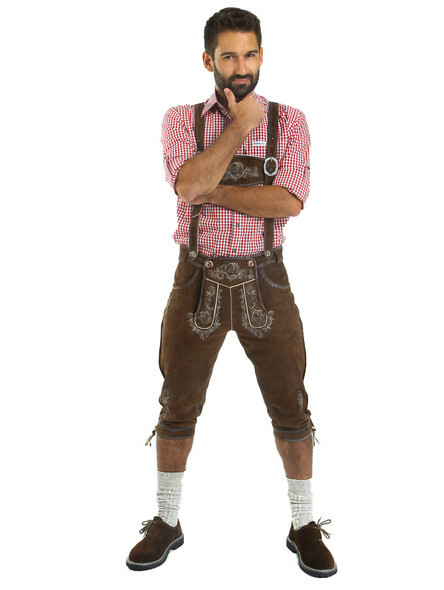 The traditional, Bavarian look appears quite good on the streets of Munich as well as it does as a costume. Stylish combined and proudly dressed, there are no limits to wear it at any occasion. The colour design of your traditional, male costume set is of course a choice of your personal style. 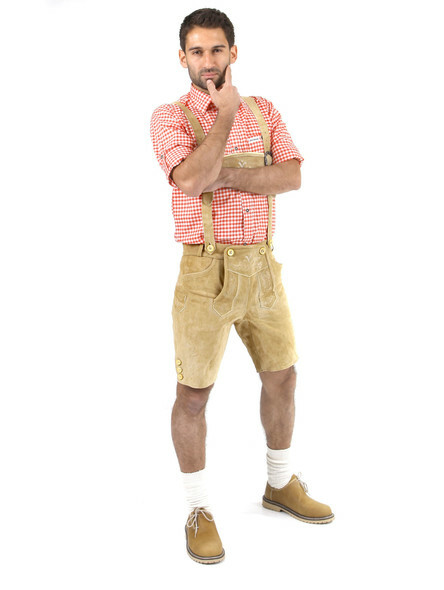 Whether the lederhosen should have red or green embroideries, the leather should be grey, black or dark brown ? you can only answer these questions yourself. 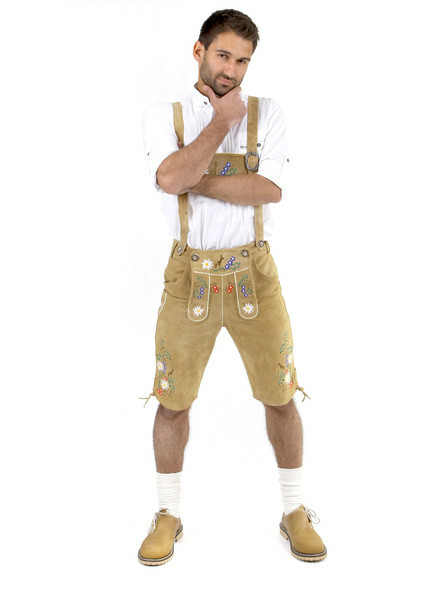 The search for the perfect Oktoberfest outfit can be quite confusing. 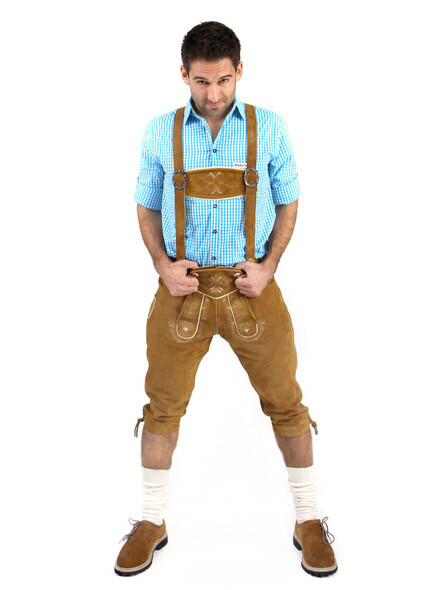 Let´s start with the probably most important aspect when it comes to buying authentic lederhosen: the leather. 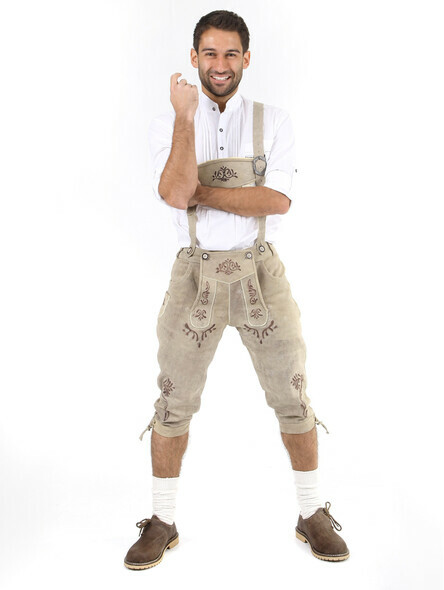 For the production of our Bavarian lederhosen we use different types of leather with different characteristics. Cowhide is the most common type of leather in the world. The food industry leaves beef skins behind as a waste product. This can be purchased particularly cheap. 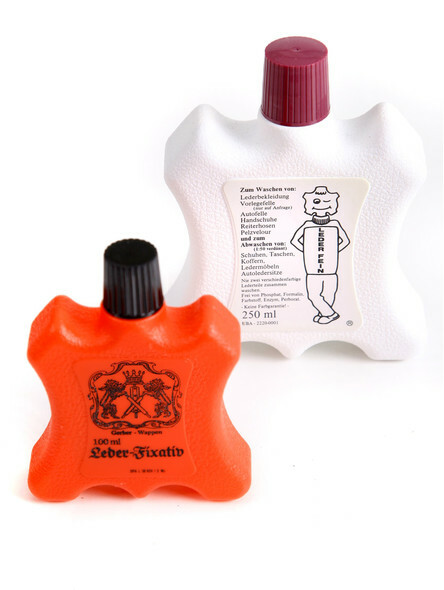 The leather is robust, resistant and yet supple. In the form of suede, nappa or smooth leather ? 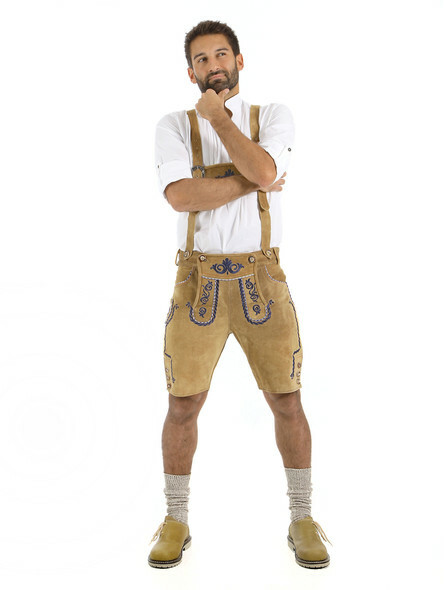 it is the basis of our low-priced lederhosen. Buck leather or leather from wild goats is characterised by its smooth texture. It is slightly lighter than most other types of leather and feels like wearing a second skin. 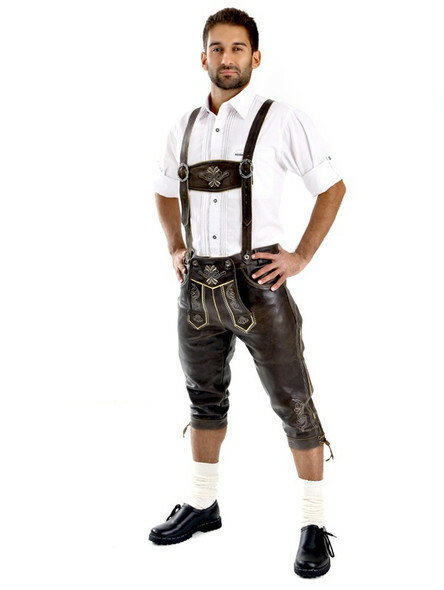 This kind of leather is besides deerskin one of the best leather used for Bavarian lederhosen. Buffalo leather is similar to cowhide, but has slightly larger pores and is stronger. This makes it particularly robust and durable. Moreover it gives the lederhosen a rustic, rough charm. You still can´t find what you´re looking for? 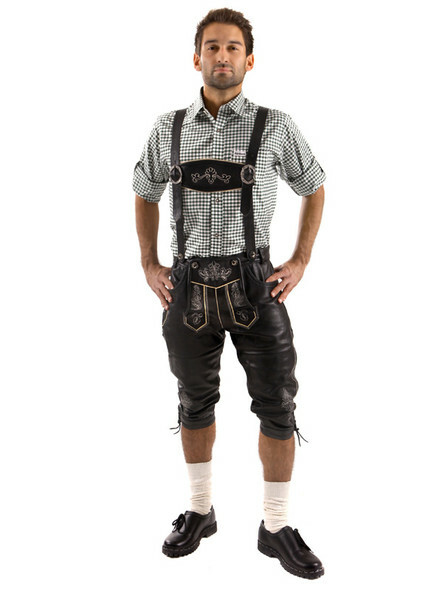 Then browse through our noble, exclusive deerskin lederhosen. 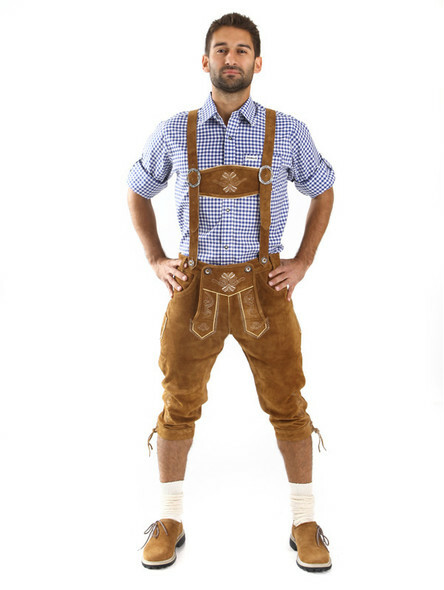 The chamois tanned deerskin gives each traditional lederhosen a unique and rustic flair. 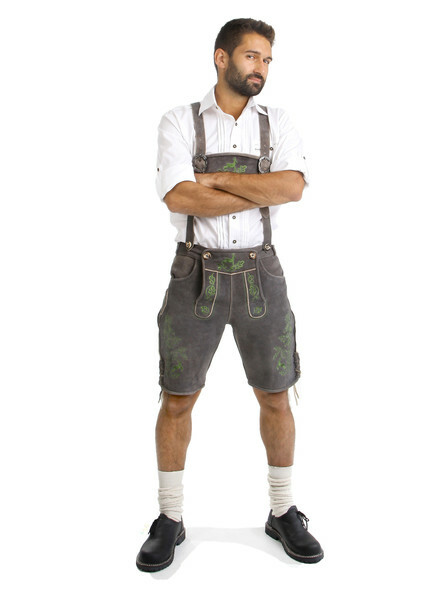 Traditional lederhosen for men are available in two different versions: the short lederhosen end above the knee, similar to shorts. 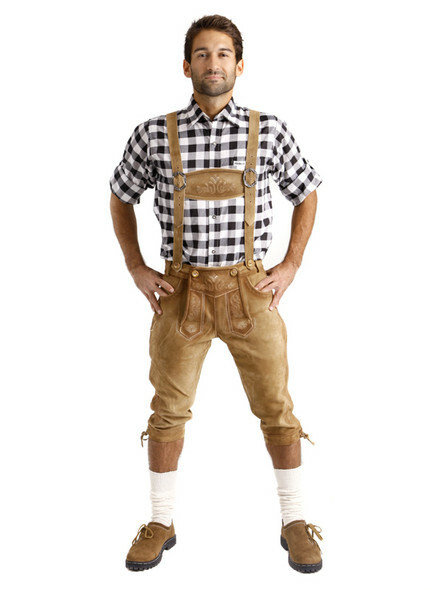 Knee-length lederhosen end under the knees and are with a waistband. The decision between these two versions is of course a matter of your personal preferences. Some men may find it unpleasant when the popliteal fossa is constricted by a waistband while sitting. If even slim fit jeans fit to loose, then you probably should choose a knee-length lederhosen. Just decide according to your feelings and preferences. And when in doubt, why don´t you just test both models? We do our best that every man finds his personal costume set. Different color combinations, a rich selection of traditional shirts and a size-calculator should help you to find your perfect set. 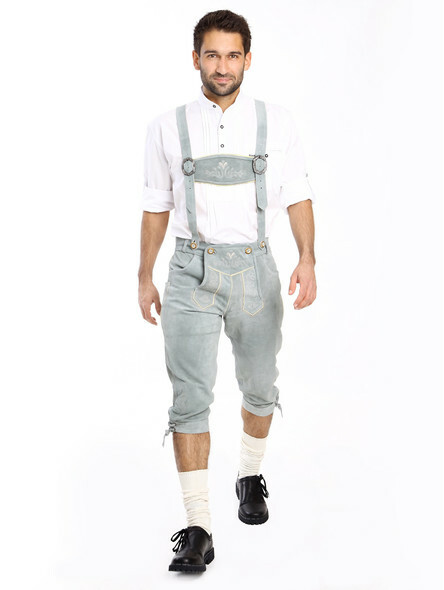 Discover our traditional men?s lederhosen in size XS, over XXL up to plus-sizes as well as matching suspenders, which even fit a man with a height of over 1.90m. 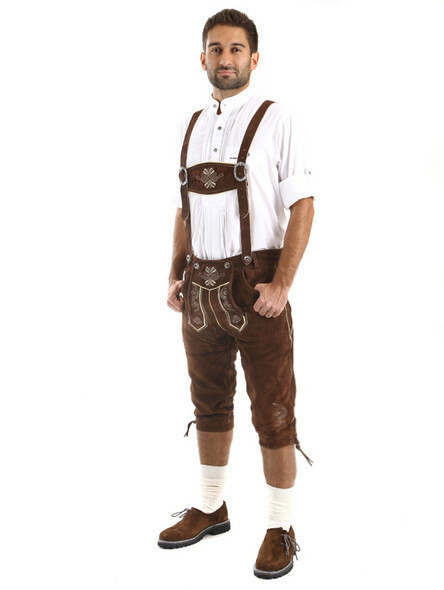 Traditional costume fashion should be fun and easy. 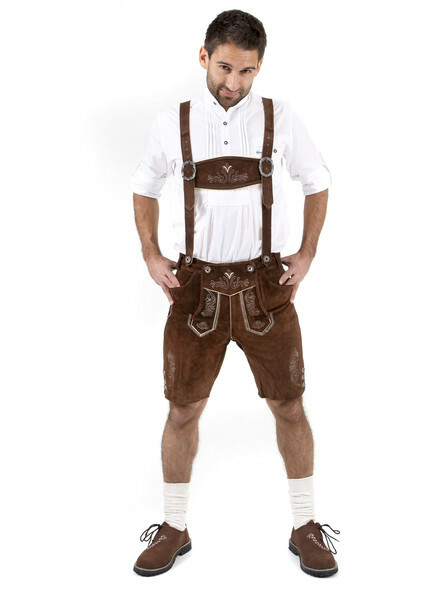 Oktoberfest outfits were created for adventures, celebrations and life. 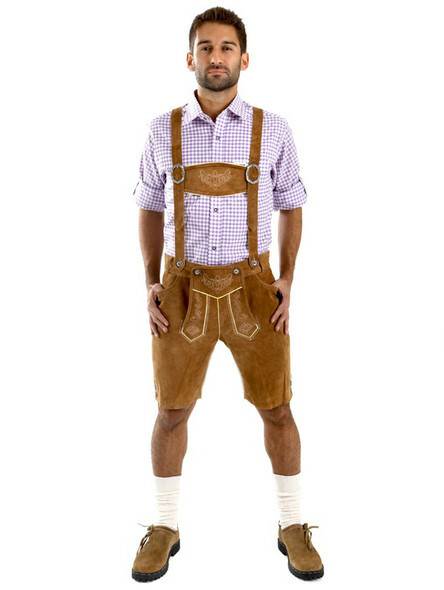 And although it symbolizes Bavarian culture, it is always hip and modern. 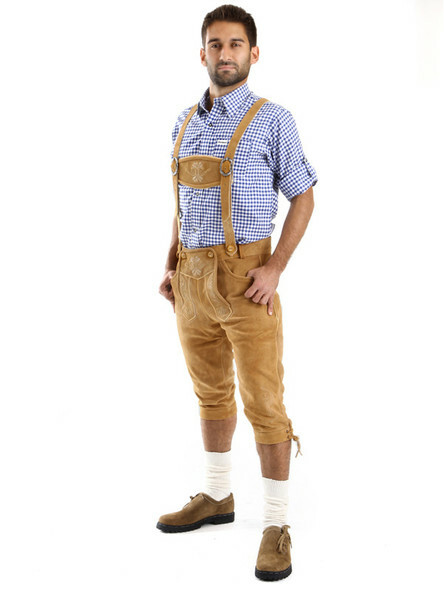 This is the reason why you can combine your lederhosen with a shirt or a casual pair of sneakers. 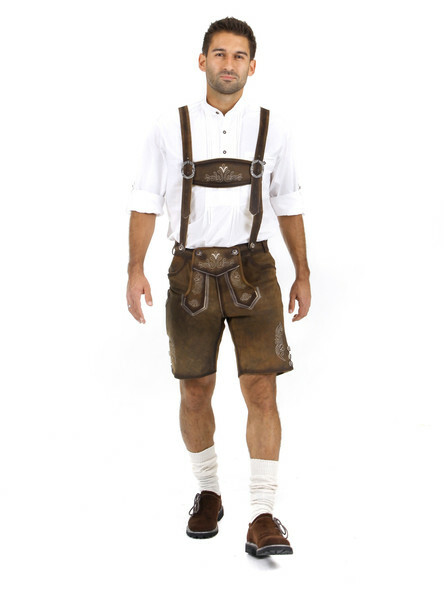 Of course, the festive and traditional combination for men consists of a traditional shirt, traditional socks and lederhosen. But there are no limits to creativity for everyday occasions. 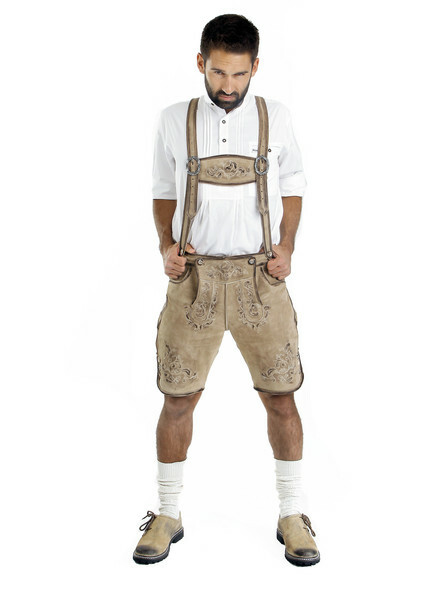 Take a look through our range of charivaris, Bavarian cardigans, Bavarian jackets, Bavarian vests or leather belts. Maybe you will find the matching part to complete your traditional costume outfit. 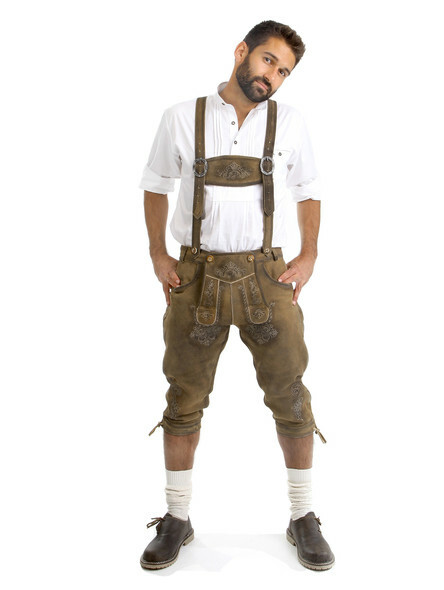 If you want to wear your lederhosen for a long time. Every connoisseur knows that they should therefore be cleaned as less as possible. 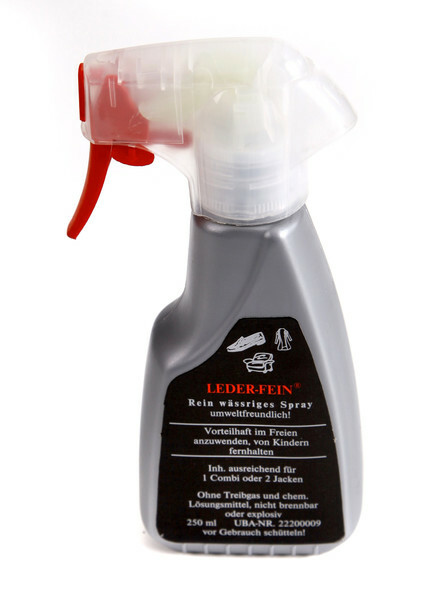 With special products the cleaning process is very easy. Take a look at our special care products. 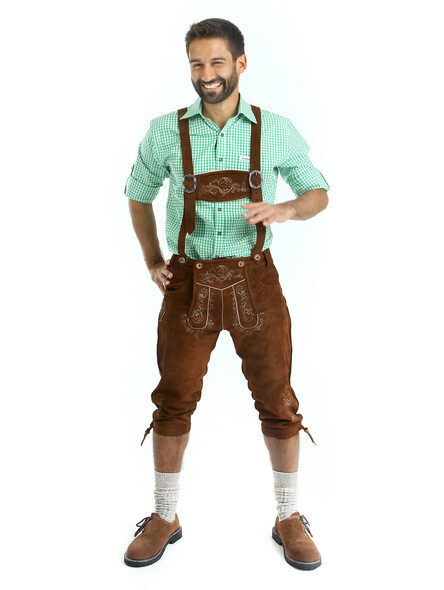 Did you find a traditional German costume? 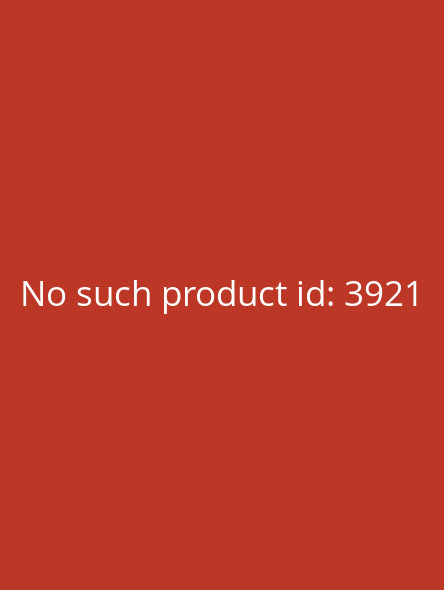 Then you can order it very simple and uncomplicated in our online-shop. 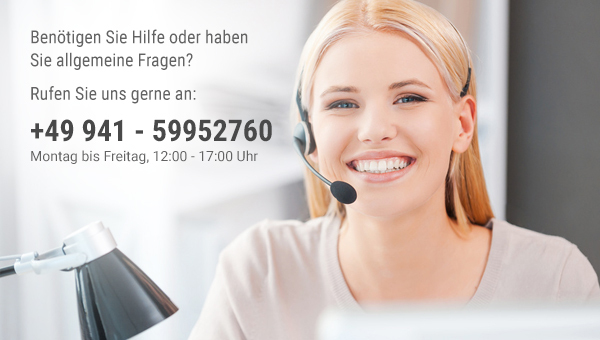 We offer worldwide, fast shipping, within Germany even free of charge. So you can try it on and enjoy it as soon as possible. Of course you may choose from a variety of payment methods. You can as well purchase it on account. Look forward to traditional costume fashion from our brand ?Almbock?. Best quality and traditional designs characterize our products. Whether rustic, noble or extravagant ? with our fully equipped 5-pieces sets ? every man is perfectly dressed. Absolut zu empfehlen - schnelle Lieferung, gute Zusammenstellung und passt gut.